Developer Epic Games has been shaking up the industry in more ways than one since launching the massively popular and influential Fortnite in 2017. 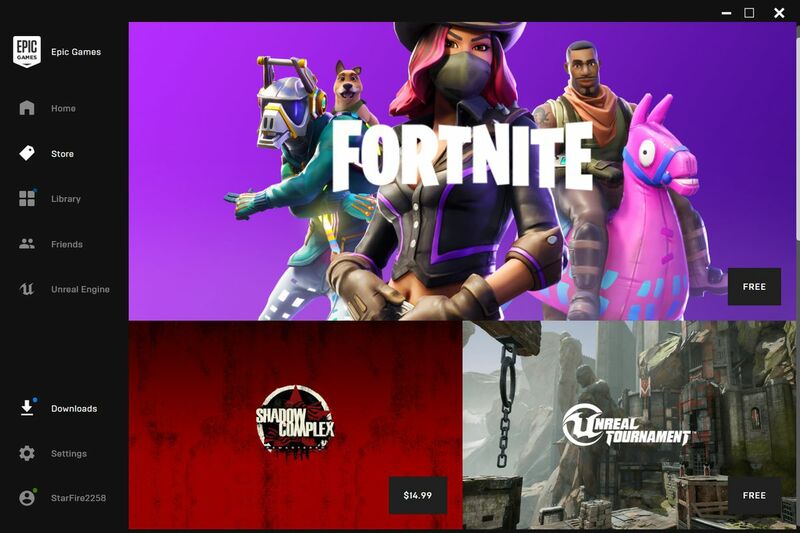 Starting last December, the company has been using its newfound wealth from the battle royale hit to fund its PC marketplace, the Epic Games Store, which offers game developers a more generous 88-12 percent revenue split than the competition. Critics and gaming fans, particularly those who are loyal to Valve’s competing Steam marketplace, take issue with Epic’s strategy of securing exclusive games because of the belief that it injects the worst element of the console industry to a Windows ecosystem that has largely escaped the platform wars between PlayStation and Xbox. Epic Games Store chief Steve Allison says the company hears the criticisms and is working to address them. In fact, Allison says exclusivity on the Epic Games Store will eventually disappear. “I don’t think we plan to do it forever. I expect that we’re already seeing the ecosystem come to life, from a sales and users perspective,” Allison told a GDC crowd today at his Q&A, alongside fellow Epic employees Sergey Galyonkin, director of publishing strategy, and Joe Kreiner, head of business development. Just yesterday, Epic announced a whole new slate of PC exclusives, including Control, Remedy Entertainment’s new game, Solar Ash Kingdom from indie favorite and Hyper Light Drifter studio Heart Machine, and a trio of previously console-only games from French developer Quantic Dream. Just a cursory look at the PC gaming subreddit community will make clear that some consumers, admittedly a particularly vocal subset, are not at all pleased. “Stop advertising your game on Steam if you are going to make it an Epic exclusive,” reads one multi-thousand comment thread. “How to stop Epic exclusivity: Don’t ever buy the game,” reads another. One touchpoint for the controversy is Deep Silver’s Metro Exodus, which was, as the Reddit thread above references, advertised on Steam and then pulled when Epic secured the exclusive PC rights to the title. Customers who preordered the game still got a copy distributed through Steam, but Valve sent out a rare public statement calling the move “unfair.” Some PC gaming fans have been enraged ever since. More recently, those in the community who find Epic’s strategy distasteful have been claiming Epic is using its store to spy on users because of its connection to the Chinese government — Epic received a substantial investment from the state-controlled tech giant Tencent back in 2013. After some users began digging into the underlying software infrastructure of the store, Epic felt the need to deny the charge, with CEO Tim Sweeney personally wading into the Reddit comment sections on the topic to try to calm the critics.